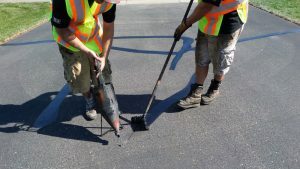 Snow is in the forecast, it has been rainy more days than not and your blacktop pavement may be paying the price. Have you taken a good look at your parking lot or driveway lately? An experienced sealcoating professional can spot areas where surface damage may result further deterioration over the coming months. Road salt, sand and chemicals that are used to make roads safer in the winter are also hard on asphalt pavement. Sealcoating works to protect the asphalt and stop weather damage. 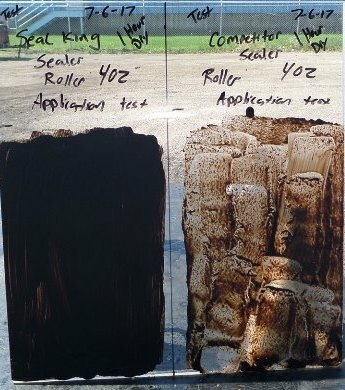 Not all seal coat materials are created equal. It is important that you choose a sealcoating contractor that applies only the highest quality materials with no harmful chemicals. 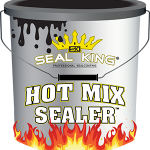 Seal King is proud to provide all of your asphalt needs with the highest standards. We use the best products and techniques available to ensure the best results possible for any sealcoating job. 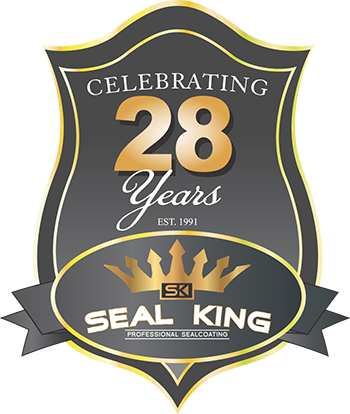 Trust the professionals at Seal King. 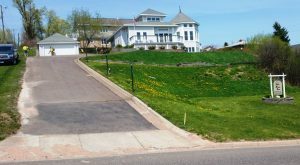 Looking to protect your driveway or parking lot this fall so that it is protected and ready for the tough winter weather that will be here soon? At Seal King Professional Sealcoating, we are thrilled to offer fall sealcoating services. 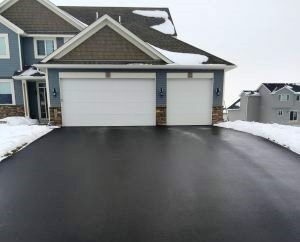 There’s no better time than now to invest in your driveway or parking lot so that it can withstand whatever mother nature throws our way during winter and beyond. 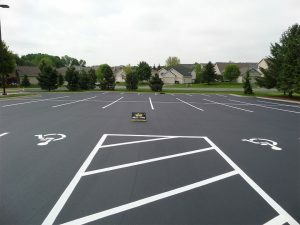 If you’re not familiar with the sealcoating process, this is an affordable way to add protection to your asphalt, while also boosting the overall look of your parking lot or driveway as well. 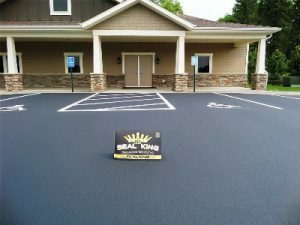 When it comes to choosing the best asphalt sealing company to partner with in Minnesota, Wisconsin and Iowa, there truly is no better option than Seal King Professional Sealcoating. The great thing about it is that we back up this statement in multiple ways. Have you taken a good look at your driveway lately? 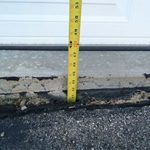 If so, is there noticeable damage where your driveway and garage floor come together? This is known as the garage apron and is a common area where damage occurs. A damaged garage apron doesn’t mean that you have to totally replace your asphalt. 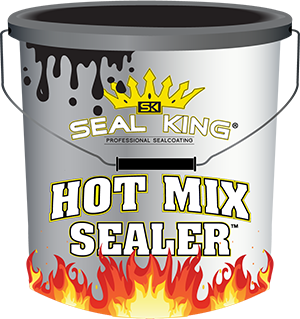 Instead, you can partner with our team at Seal King Professional Sealcoating.